27 Oct 2016. NUS scientists have developed the first scalable robust, open-sourced reconstruction algorithm targeted specifically for lens-less imaging with x-ray lasers. In lens-less imaging, computational lenses classify incomplete diffraction patterns generated by many objects to reproduce their statistically significant features. This capability for classification allows computational lenses to perform statistical inference that is impossible for physical lenses. In a project led by Prof Duane LOH from the Department of Physics at NUS, physicists from the Centre for Free-electron Laser (Hamburg, Germany) and Cornell University (Ithaca, NY, USA) have published the first open-source x-ray laser-based computational lenses to image free-standing proteins in solution. Statistical inference in computational lenses is most effective when trained on many photon patterns. The complexity of objects recoverable by such lenses is limited by how effectively they can scale over massively parallel computing hardware. Computational lenses that can robustly classify sparse and noisy photon data from actual experiments have been in demand since the advent of x-ray free-electron lasers. This demand is driven by already massive quantities of publicly available data and will grow rapidly with improved instrumentation . The Single Particle Imaging Initiative at Linac Coherent Light Source (LCLS) has demonstrated that single particle imaging (SPI) of large biomolecules approaching atomic resolution is nearly at hand . To prepare for a future where SPI is routine, four researchers have published a software package named Dragonfly , that will make this new imaging modality accessible to a broad user base. This reconstruction software package, which is based on a Bayesian clustering algorithm , is part of a suite of computer programs published in a special issue of the journal of Applied Crystallography . 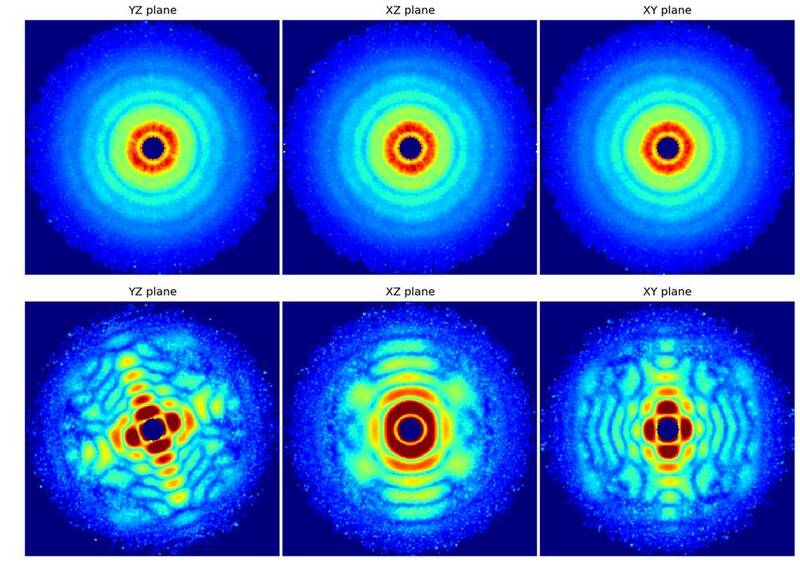 Data load from single-particle imaging at X-ray lasers will increase dramatically when the European XFEL (x-ray free electron laser, research facility) becomes operational in 2016. With the Dragonfly software package  fully open-sourced, it is expected that users will be able to test its robustness against new and/or existing experimental data.